Shangri-La’s - Eros Hotel, New Delhi was immensely pleased to take part in this green initiative and to honour this, the hotel sourced 50 tree saplings from Sankalp Taru foundation. 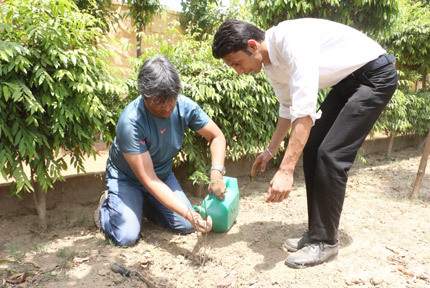 The saplings were planted at the Jasola Sports Complex in New Delhi on Friday, 22nd April 2016. While Sankalp Taru foundation aims to create unprecedented mobilization in the favour of the environment and is dedicated to support socio-environmental causes through tree plantation activities, Shangri-La’s - Eros Hotel, New Delhi was thrilled to contribute to this green movement.